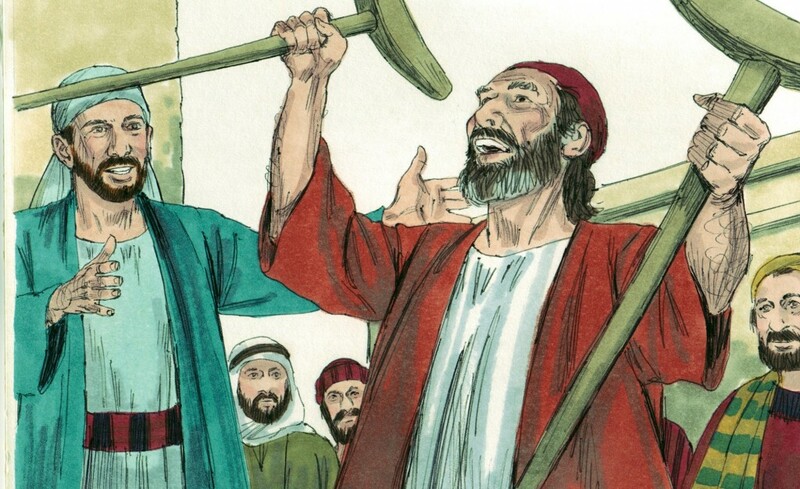 Peter and John are on their way to the temple to praise God and to worship. They see a lame man sitting near the temple steps begging for money. That’s the only way handicapped people could earn a living in Bible days; they held out a tin cup. When he saw both Peter and John approaching, he got excited thinking, Great! There are two men. I’ll get double the amount. YES! The man excitedly accepted the apostle’s invitation to pray. And then—to the man’s surprise—Peter and John . . . in the authority of God Himself . . . healed the man. Scripture tells us that he went leaping and screaming praises to God! He ran all around the temple courtyard. Imagine: Muscles, limbs, ligaments, which had never worked before—now in fluid motion! Jesus passed that man several times. How often did Jesus go to the temple? The man had been there for years. Year after year, his loved ones had carried him to the temple steps. Jesus walked right by him. Jesus healed so many during His time on earth. Could it be . . . that Jesus simply wanted Peter and John’s participation? Could it be that Jesus was saving this miracle for these two disciples? Perhaps to strengthen their faith? Maybe to remind them—after He had ascended into heaven—that His authority and power really DOES inhabit His disciples? He knew the exact time, moment, date . . . that Peter and John would approach this man. exactly when they needed it. I’m learning more and more that Jesus wants US to participate in what HE does! He wants to USE us. But could it be . . . that He’s saving some things for us? We live within His power. Are you participating in all that God wants to do through you? Love how we can dig into these stories and find a deeper meaning of it. It’s more than a healing!